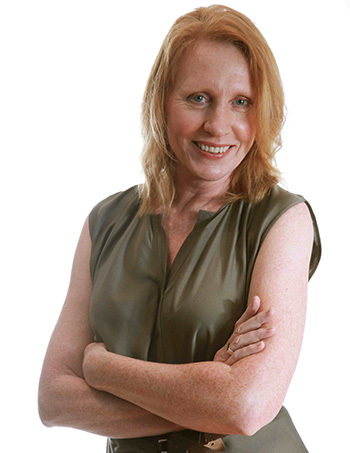 Louise O’Donnell takes up the newly created role on 18 August and was most recently digital director for Hoodlum, as well as strategic project director consultant for Network Ten creating its new TenPlay cross-platform offerings. She has 17 years’ experience in digital strategy including a stint as project director for YouTube Symphony Orchestra in 2011, which generated more than 33 million streams. She also covered digital and broadcasting at the Sydney Opera House, was national head of digital and interactive for Leo Burnett, and set up the Australian platform for Big Brother Interactive while working as executive producer of Southern Star Endemol. In a statement, ABC Innovation director, Angela Clark, said O’Donnell was taking up one of three roles created to emphasis the group’s core capabilities in design, strategy, product management and development. The changes are also about ensuring the unit develops online and mobile offerings “in a way that is audience and product focused”, she said. ABC Innovation looks after ABC’s website, its mobile app properties, and generates digital media content for online, mobile and emerging platforms. Recent initiatives included the launch of the tablet app, The Brief; as well as partnerships with Australian galleries, museums and libraries for ABC Splash, an education portal which presents archival documents, artworks, artefacts and Shakespearian works in digital form. The other two roles being created are head of user experience and service design, which will oversee user experience and design as an integrated team; and enterprise product lead, which will manage the ABC’s homepage, apps, header, footer and search. The changes follow the departure of the first head of online and mobile, Mark Dando, who joined ABC Innovation in 2012. “Louise brings a wealth of knowledge and experience to the team, having pretty much covered the full spectrum from digital strategy in TV, radio to content – kids, interactive storytelling, drama, local news and arts as well as digital marketing and advertising,” Clark commented. O’Donnell welcomed the opportunity to work on ABC Innovation’s new projects and partnerships. “My background is in broadcast and digital production, driving audience engagement through integrated communications strategies and seamless user experience, so I’ll be able to apply many facets of this to the ABC’s digital offerings,” she said.